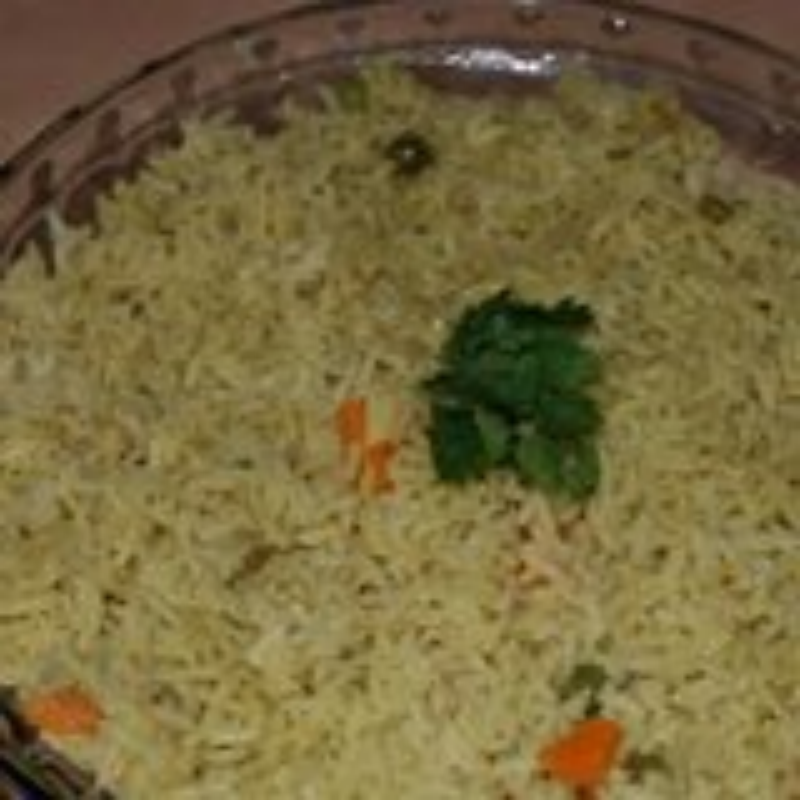 a rice variety that brings out the aroma of cilantro to its best....made all my kids and in-laws eat more!! Fry till onions turn light brown.add carrots and green peas and fry for few more minutes. Grind the cilantro along with one green chilli and grated coconut into a fine paste and add it to the onion fry.add also the turmeric and salt to taste and simmer for 2 minutes. Wash rice and add the rice to the onion mixture and stir well on medium flame. Add 3 1/2 cups of water and the coconut milk and cook till rice is done. Serve hot with plain curd or raita of your choice. it looks great , but can you tell me what is cilantro? Thanks for your tasty receipe. It was worth trying and eating it too. Really, every member enjoyed eating it. The aromo of cilantro was the best.